If you have a website, you know how important website traffic is. The more traffic to your website – the more opportunities you have to generate adequate leads, help them with any problem, or sell them your product. It allows you to make new customers and grow your business. There are unique ways in which B2B can take the approach on social media networks to create conversions and drive traffic to their website, and in this article, we’d like to share some of our tips on how you can use social media advertising to drive website traffic for B2B. If you’re already using social media platforms such as Linkedin, Twitter, and Facebook, there’s no need to jump on the bandwagon of making an account on every single social media network that enables advertising. Stick to those that are the best for B2B companies – LinkedIn, Twitter and/or Facebook, and maximize their potential. LinkedIn is by far the most important social network for B2B, it allows you to connect with professionals, reach out to business buyers, generate leads, establish thought leadership, increase your online presence and improve your reputation – and above all, using LinkedIn extensive ad targeting hits the bullseye or very near to it. We aren’t trying to be Mr. and Ms. Obvious here, but you wouldn’t believe how many times people forget to include this in their ads! What a missed opportunity for more traffic. 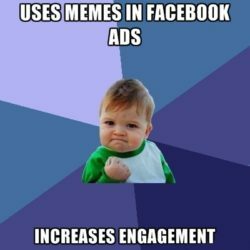 Of course, not all types of social media ads will let you forget it – but some are not that strict. And, of course, your advertisement won’t be effective at all if you don’t put the link. People might be interested in what your ad says, but they won’t be bothered to search for your website themselves. We’re being Mr. and Ms. Obvious again… but CTA is forgotten more often than a link. And more often than we think. Alongside the link, call to action is an essential part of every single ad. Often times your audience needs a push, they need to be told what to do, and CTA will make them much more likely to follow through. Most of the social media users are accessing the platforms on their mobile devices, and this means that your social media ads are viewed on mobile as well. Not only should you specifically design ads that fit small screens perfectly, you also need to make your website mobile-friendly. You should make the user experience as smooth as possible because most visitors would run away from your website if the mobile experience was bad. Take your smartphone, open your website and ask yourself – does it load quickly? Does it draw your eyes to the key message? Is it easy to read and navigate? Does it provide a good user experience overall? Social media users tend to mindlessly scroll through their feed until something catches their eye – and that should be your ad. People are more likely to click on an advertisement if it grabs their attention, and having a compelling visual will surely get you there. Out attention spans are getting shorter, and we’re also more likely to react to an image than to a text. Using infographics, data visualizations, videos, gifs, heck – even memes, is a sure way to make your ad stand out. High volume of advertising has triggered a psychological effect known as banner blindness, making people ignore anything that even resembles an ad. This creates the ad fatigue, a decline in click-through rates and subsequently conversions. Facebook allows you to measure ad fatigue with a frequency metric – if your ad is shown too many times to your target audience, it increases your frequency and your cost per click, but your click-through rate drops. That’s why ads need to be constantly optimized, refined, and tested – to keep people clicking on ads you need to make the ad seem more like an integral part of the platform and less like an ad. How can you keep the ads fresh? Well first, you should always have at least one trick up your sleeve. Having one or two ads is not nearly enough, you need to have an arsenal of ads and ad ideas so you can keep rotating them. Of course, creating an ad isn’t an easy thing to do, but if you want a quick fix you can add a new image to your already existing ad. Even if your core message is the same, bringing a new visual will give it a fresh look. Try adding power words to your ads, like free, discover, results or instantly, that elicit higher emotional responses which increase chances of engagement and ultimately website traffic. Making an irresistible offer, or creating an atmosphere of exclusivity will prompt people to follow your CTA. Understanding who you are speaking to and targeting your messages directly to their needs is half the battle already won. On Facebook, for instance, you can start with basic audience targeting where you are able to narrow it down based on demographics, interests and other data Facebook has about its users. But you can go a few steps further to make sure you are targeting the right people. If you upload an email list of your current users, you can select to create a lookalike audience, where Facebook will use your existing customer information to find people similar to them. There are no lookalike audiences on LinkedIn, but you can still create narrow targeting to make sure you send different messages to different types of your potential customers, rather than a generic social media ad aimed at a broad audience. We wanted to keep it short and sweet and go through some basics about how advertising on social media can drive traffic to your website. Mr. and Ms. Obvious will be back soon, so don’t miss out on our next blog post. If you are still finding all of this a bit overwhelming – get in touch and let us help you. has a degree in Japanese Studies and is currently working at Digital Quince as Social Media Junior. Dušica Mladenović has a degree in Japanese Studies and is currently working at Digital Quince as Social Media Junior.